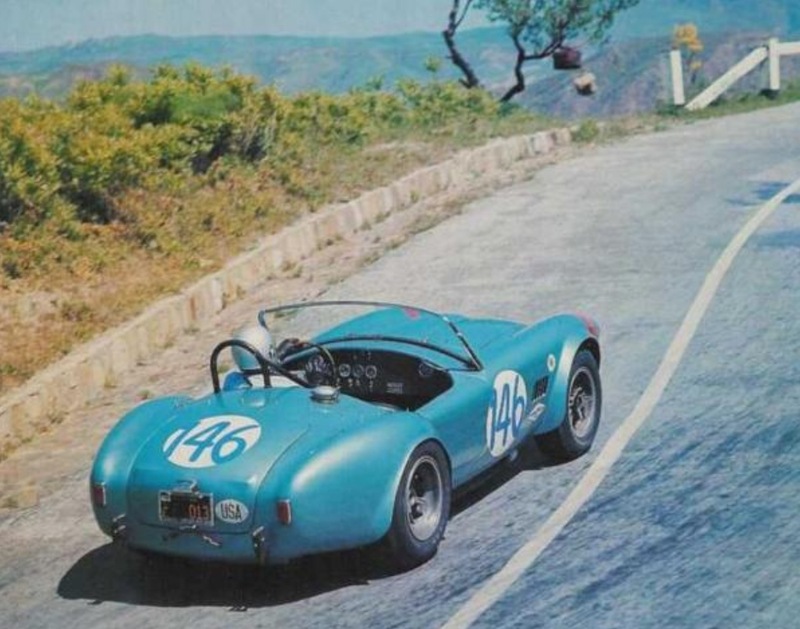 Posted: September 14, 2014 in Sports Racers, Who,What,Where & When...? It captures everyting which was great about this fantastic, and oh so Italian event. 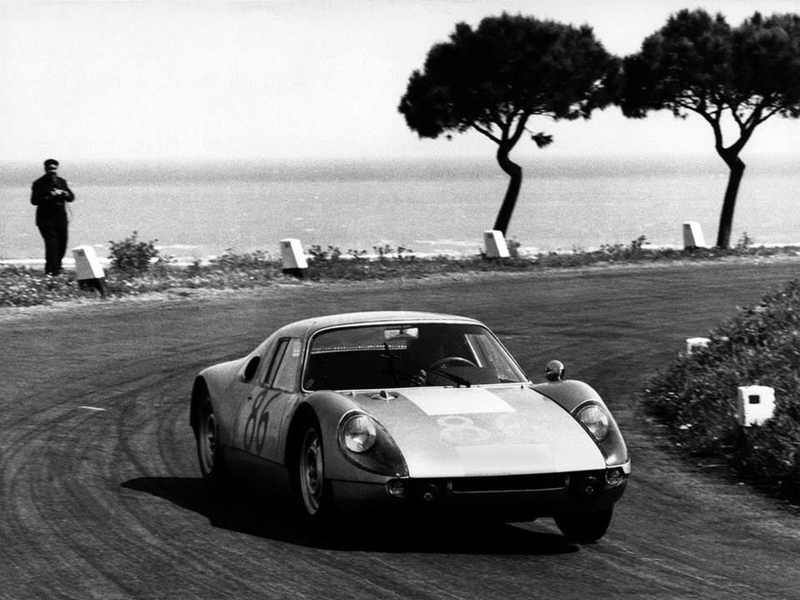 Dan Gurney and Jerry Grant finished eighth outright and first in class in the event won by the much more suitable Porsche 904 GTS of Colin Davis and Antonio Pucci. 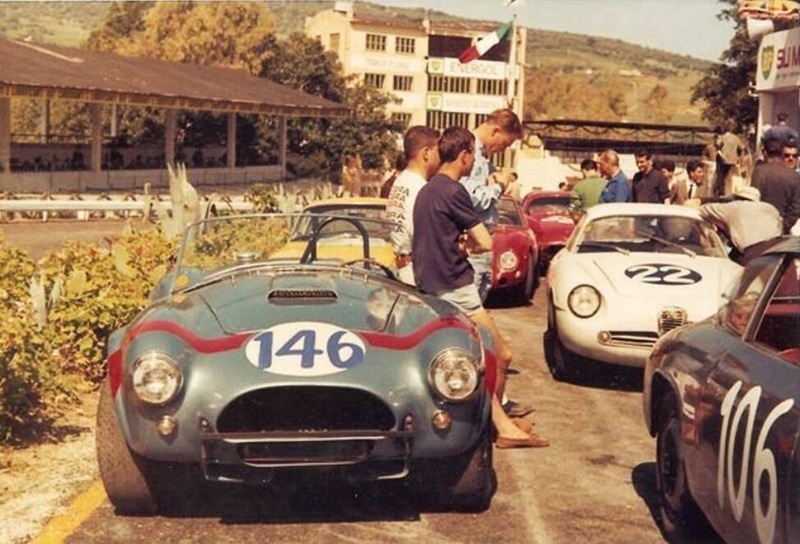 The GT Manufacturers Championship was won by Ferrari in 1964, with Shelby Cobra second. 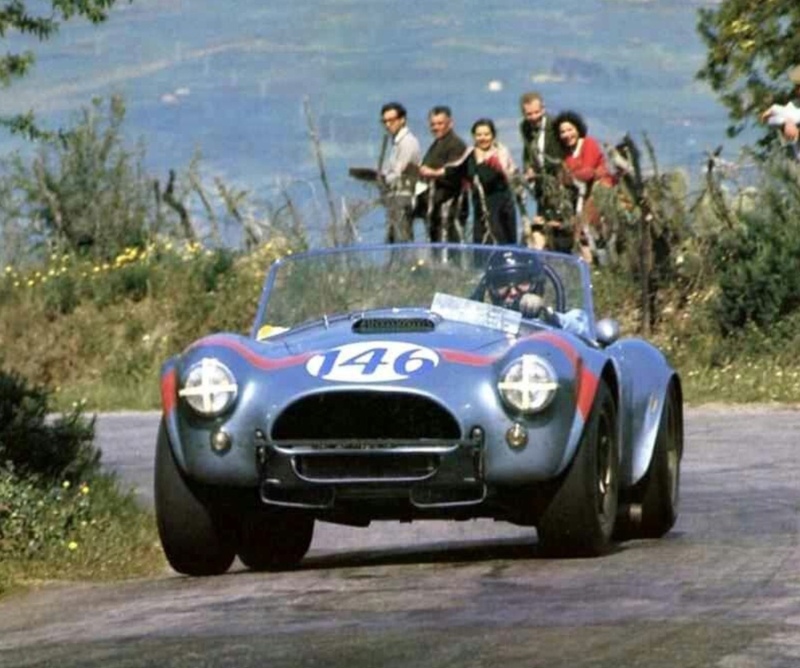 With the advent of the Cobra Daytona Coupes Ferrari would get more of a ‘run for their money’ in 1965! 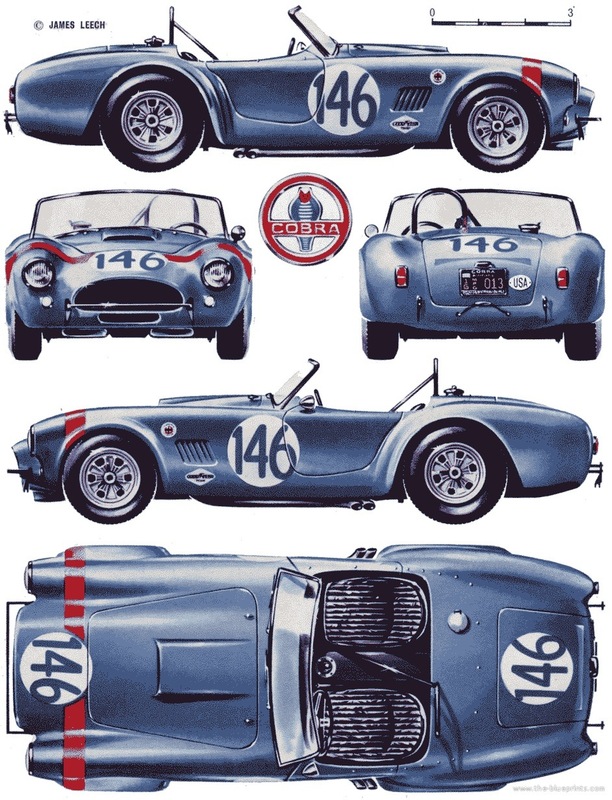 Specifications of the ‘FIA Roadster’ cars in 1964 included Fords pushrod OHV 4.7 Litre or 289 v8. 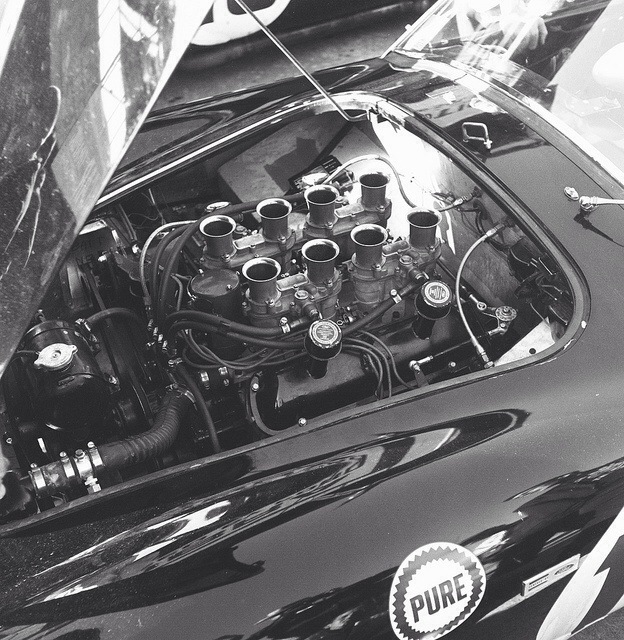 4 48IDA Weber carburettors, giving circa 400BHP. Borg Warner 4 speed gearbox, 4 wheel disc brakes. Independent suspension using transverse leaf spring. 140 litre fuel tank. 6 spoke cast alloy wheels. 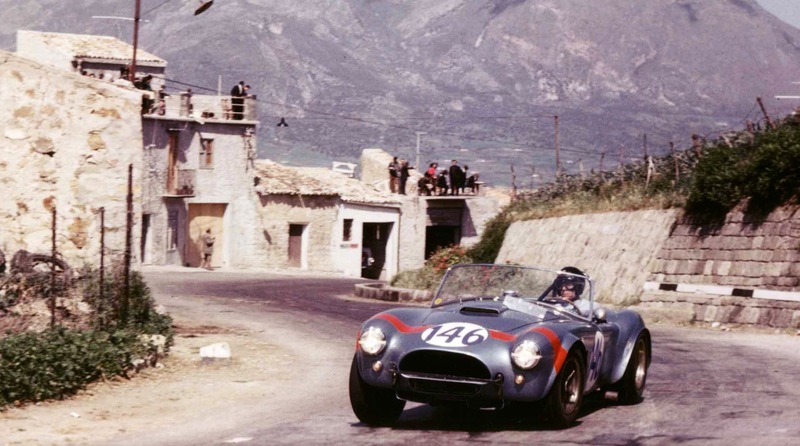 These cars were the ultimate development of the original ‘small block’ Cobra.